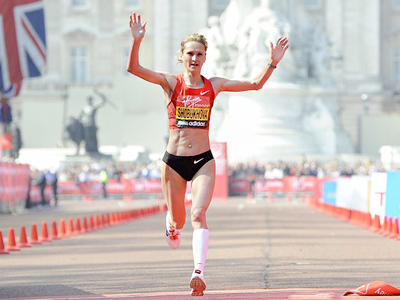 Russia's defending champion Liliya Shobukhova was beaten into second place at the London Marathon by Mary Keitany of Kenya. ­Keitany broke away from all her rivals after 15 miles and ran an unofficial time of 2 hours, 19 minutes and 17 seconds. 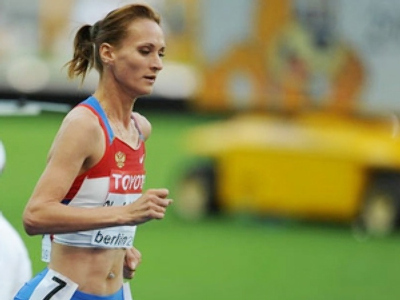 Defending champion and favorite Shobukhova was second, a minute behind, despite displaying her personal best time. Another Kenyan, Edna Kiplagat, finished the marathon third. Shobukhova said after the event. 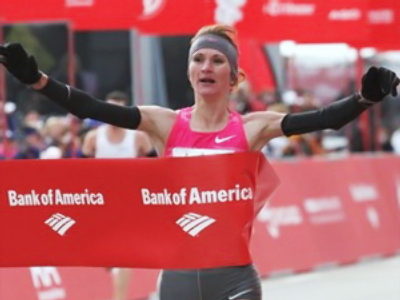 “For me, it was very ambitious and unreal so in the second half of the race when I didn’t see Mary and I could see Edna next to me, I realized I was fighting for second place,” she added. The men's race was also dominated by Kenyans. Emmanuel Mutai won with a course record of 2 hours, 4 minutes and 38 seconds. His fellow countrymen Martin Lel and Patrick Makau came second and third respectively. 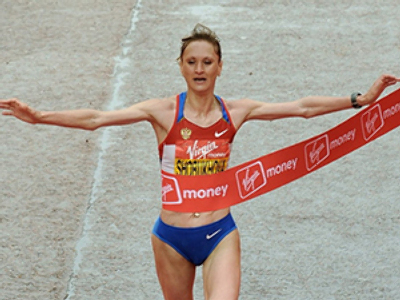 The London Marathon is one of the top five in the world, along with New York, Boston, Berlin and Chicago.